LabStorm: Can mobile phone surveys be 100 times cheaper and 10 times faster? The United States Agency for International Development (USAID) invested about $380 million in Demographic and Health Surveys (DHS) between 1984 and 2012. Surveys of this kind are important. We find out about maternal health, malnutrition levels, and child immunization, among many other things. Without this kind of information, strategic investments would be more difficult to make. The questionnaires provide valuable data about the populations that service providers seek to help. But what if the costs of this kind of surveying fell from $380 million to $3.8 million? It turns out that it’s possible through mobile technology and the insights of Voto Mobile. At last Thursday’s LabStorm, Feedback Labs hosted Louis Dorval from Voto Mobile– an organization that uses mobile technology to facilitate two-way communication between citizens and what they call “duty bearers” (government, service providers, etc). Louis explained how the Voto Mobile platform helped catalyze collaborative work with the Center for Global Development and the World Bank Governance Practice. Together, they were able to show that mobile phone surveys can work in poor countries like Afghanistan, Ethiopia, Mozambique, and Zimbabwe. And at a mere fraction of the cost and time. 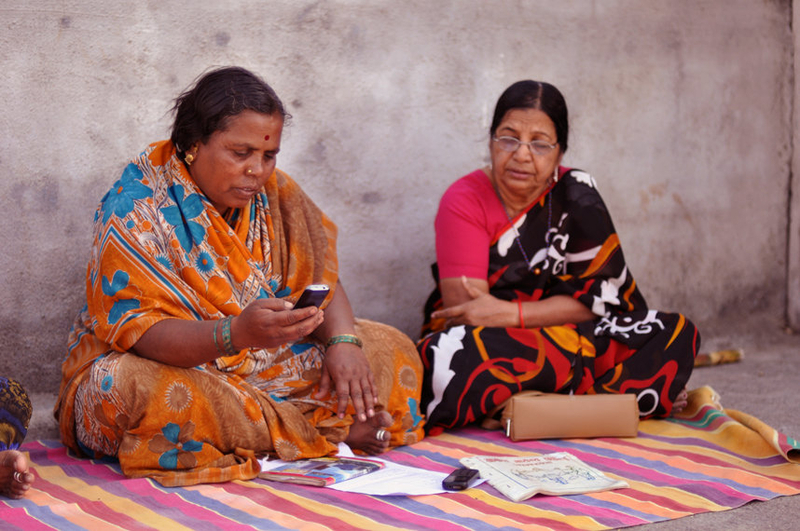 Can mobile phone survey platforms reach a nationally representative sample? To what extent does linguistic fractionalization affect the ability to produce a representative sample? How effectively does monetary compensation impact survey completion patterns? One of the key takeaways from the LabStorm is that mobile doesn’t have to mean SMS texting. By using Interactive Voice Recognition (IVR), people who are not highly literate can still participate– using voice-based communication– and have their voices count. DHS or household surveys like the Living Standards Measurement Survey (LSMS) are examples of surveys that rely on self-reported information against existing metrics that experts decide are important. That is, if the expert decides that fertilizer-use or rice consumption is an important question to ask people about, they’ll ask it.